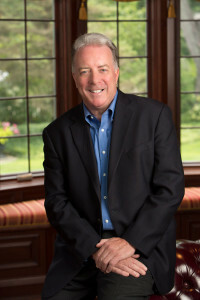 The Hatcliffe’s Group’s Founder and President is Mike Hatcliffe, who has spent more than 25 years counseling organizations in both the US and the UK in reputation building, issues management, crisis preparedness and crisis response. Prior to launching The Hatcliffe Group in May 2016, Mike spent more than 20 years with two of the leading PR agencies in the world, including, most recently, 10 years at Ogilvy and before that 14 years with Ketchum in both the US and the UK. During that time, Mike worked with blue chip companies, leaders in their fields, including LG Electronics, Wells Fargo, Zebra Technologies, CDW, Quintiles, Rockwell Automation, Unilever, Pepsico, Deloitte, Grant Thornton and HSBC. At the other end of the scale, he is experienced in supporting start-ups and emerging companies, scrappy family businesses and mid-sized corporations ready to take the next step. Creating sophisticated crisis preparedness plans for global companies, professional organizations and leading US consumer brands to cover threats in the digital age. Building and delivering response plans to critical issues including plant closings, political scrutiny, litigation and unexpected leadership changes. Developing and implementing stakeholder engagement campaigns around content delivery, influencer engagement and media/blogger outreach. Identifying and developing thought leadership topics to build awareness and credibility for organizations from start-ups to Fortune 2000 companies. Prior to launching The Hatcliffe Group in May 2016, Mike spent ten years at Ogilvy, mainly serving as Managing Director of the US Corporate Practice focusing on reputation and risk management. Mike represented one of the world’s leading consumer electronics companies for nine years, including a successful two-year campaign, from 2013-15, to win support for a new HQ building in New Jersey. Before that, he helped the company manage a complicated dispute with the Department of Energy. For more than eight years Mike provided strategic counsel to the world’s leading clinical trial company, including creating a new reputation management roadmap which transformed its communications approach. And for seven years Mike worked with the world’s largest professional organization for those concerned with issues around Quality, including leading the agency team on a brand repositioning for the organization. For Ogilvy’s Corporate Practice, Mike launched and trained members of the US team on a new framework for clients’ reputation management and revamped the agency’s crisis offerings – including, in 2015, partnering with In Case of Crisis to launch an Ogilvy crisis mobile app. Before that, Mike spent 14 years with another of the world’s leading PR agencies, Ketchum – a period almost equally divided between the London office and, from 1999, the Chicago office. During his time at Ketchum, Mike’s roles included leading the Midwest Corporate Practice and the Chicago office, working closely with clients such as HSBC, Deloitte, Arthur Andersen, Northwestern Mutual, Wendy’s and Miller Brewing.